On Monday I will be returning to the world of 9-5 work, well actually as I am going to be working two jobs it may be a bit more 9-5-then- 6-11 work, so I have been trying to enjoy my last week of freedom and get my craft on. Yesterday I had a sewing binge. I have been slacking when it comes to doing anything more creative than knitting socks while watching back to back episodes of Mad Men, what can I say I am a late convert. So yesterday I finally got my studio straightened out after the fabric reorganisation and started sewing. It was a day of quick fix sewing projects. First, despite our commitment to reusable shopping bags a few still creep into the house unnoticed and then breed on the kitchen floor. So I whipped up a quick bag sausage to keep them in line and who doesn't love a little spotty/ric-rac combo on a dull Thursday morning. 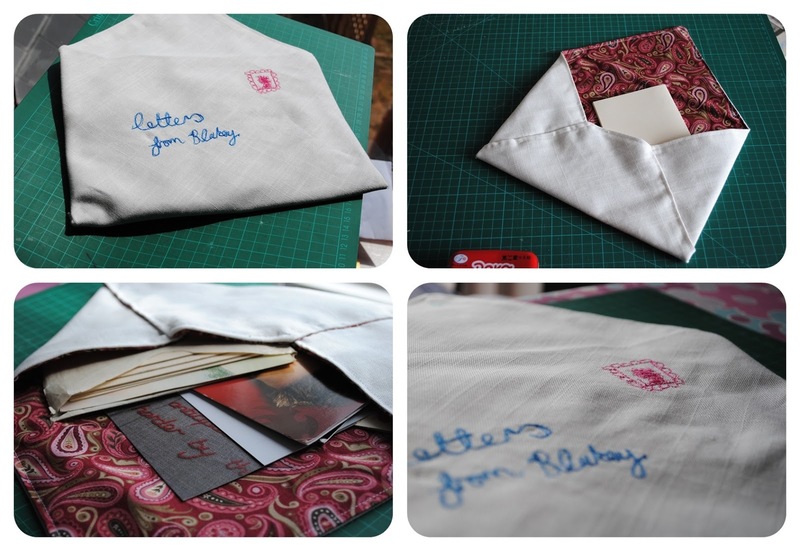 Next on the list was a place to store the letters I receive from one of my favourite people. I have them in various envelopes around the house and I thought they deserved something a little more special. I use this tutorial as a basic template and then got all free motion embroidery-y on the front with the stamp and address label. My letters are very cosy now and I look forward to making a few more of these for letters from my other letter writing friends (hint-hint). 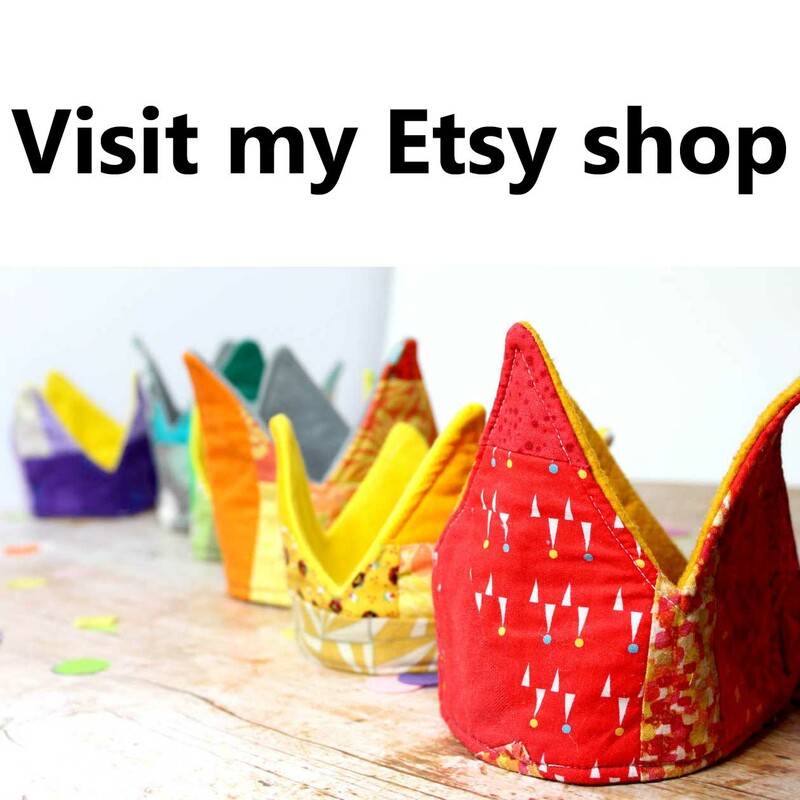 And having spent an hour cleaning tiny scraps of fabric and threads up from the studio floor and surfaces (I am not a tidy crafter) I got round to making a fabric bucket following this tutorial to put next to my machine and drop all my little threads in. It was a little hard to sew the first circle base but much easier for the lining. I see several more of these in my future as it was so quick to make and is going to be a great way to keep everything tidy. After all that craft I was a little tired so I sat down with, you've guessed it, sock knitting and Mad Men.